This gorgeous tree is really breathtaking in real life and a show stopper. 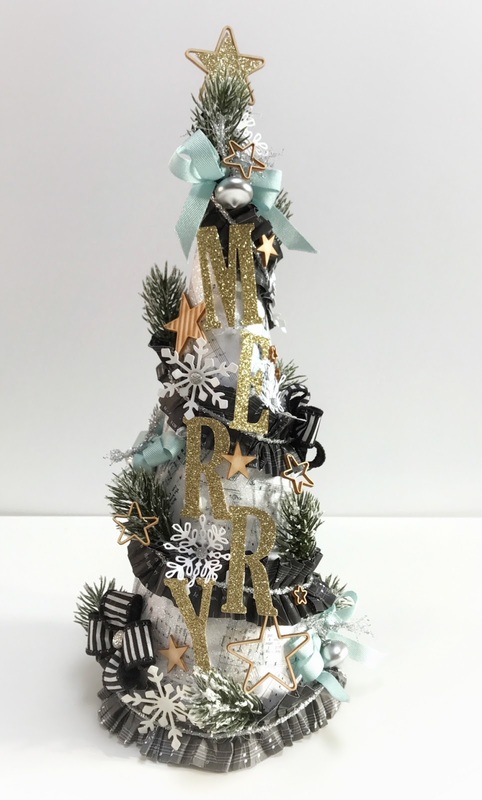 You will receive everything you need in the kit to make one of these lovely trees apart from glue and the white snowflakes. I decided not to add these are they are really time consuming for me to cut before hand so you will have to provide an alternative but really the trees are gorgeous without them. You will also need to provide glue and some glitter. KIT INCLUDES POSTAGE. The second option is this Heavenly Aromatherapy Gift Set. You will receive everything you need to make THREE of these sets. 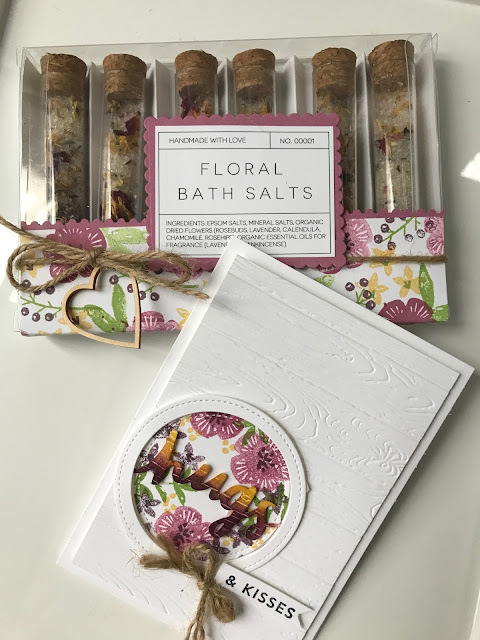 The bath Salts are 100% natural and smell divine, you are sure to want to keep one set for yourself. All you will have to provide for this project is ink in your choice. The colours used here Are Perfect Plum, Sweet Sugarplum, So Saffron, Wild Wasabi. KIT INCLUDES POSTAGE.